It isn’t always the case that an indie platformer from a budget-priced console makes its way to the PC, but that’s precisely what’s happening with Gamious’s Ouya platformer, iO. iO is an indie platformer/puzzler every bit as superficially minimalist as its title while possessing loads of deep gameplay beneath that. You take command of what appears to be a wheel that can expand or shrink at the player’s will and navigate your way through a variety of structures. 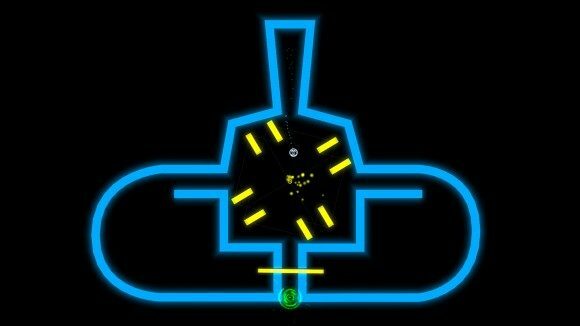 Many of the puzzles involve a rudimentary understanding of physics, and frequently you’ll have to contend with shifts in gravity, portals and moving platforms. iO was originally born out of a game jam at the 2012 Dutch Global Game Jam, and was later developed into a full blown Ouya release last April. The game received positive reviews across the board, with reviewers praising its challenging gameplay. As befits a PC release, iO has been given a set of upgrades. These include visual enhancements, particularly to the game’s 150 levels, and a new tutorial to ease players into things. iO will be released via digital download outlets such as Steam on December 5 for $9.99 / €7.99 / £6.99.